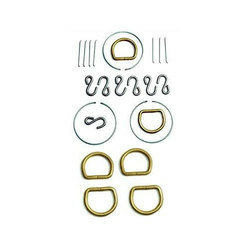 We are a leading Manufacturer of square wire springs, circle wire spring, wire springs, round wire spring and stainless steel wire form spring from Mumbai, India. We are engaged in offering Square Wire Springs. The wire springs manufactured by us are designed by an experienced team of engineers, who have in-depth knowledge about the precise designing of the springs in accordance with the industrial standards. Our clients can avail these springs in various grades and dimensions as per their requirement. Owing to the technologically advanced manufacturing units, we are offering premium quality Circle Wire Form Spring to our respected clients. 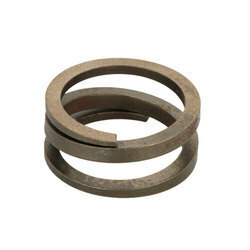 These are fabricated using superior quality raw material and employing latest machines and tools. The products we offer are developed by a team of diligent experts, following industry laid norms and guidelines. 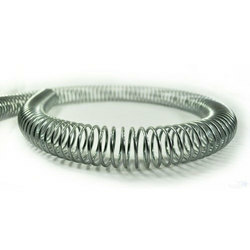 We manufacture and supply Wire Spring, are durable in quality and can withstand forces such as twist or rotation. Our all products are stringently tested by the quality inspectors on various parameters to render maximum client satisfaction. 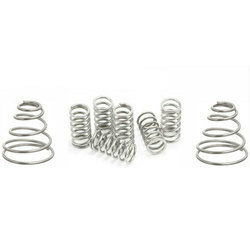 These springs find applications in various industries and are highly durable in nature. 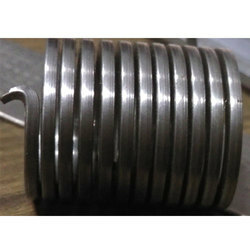 We are one of the most appreciated manufacturers, wholesalers, and suppliers of Round Wire Spring. These high-quality products are fabricated under the strict supervision highly skilled team of professionals by utilizing high-quality raw material and advanced machinery to provide our respected patrons with the fine quality final product. Apart from this, our esteemed patrons can avail these optimum quality products at the most reasonable price. In order to cater the ever-changing demands, we are offering our respected clients a wide range of Stainless Steel Wire Form Spring. These products are manufactured using premium quality material and hi-tech machines to ensure their adherence to international standards and norms and high durability and performance.